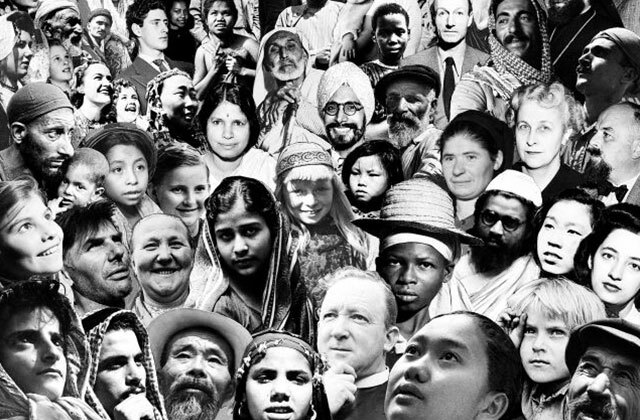 We invite you to reflect on our shared history, and take part in the great work ahead—to eradicate poverty and reduce inequalities and exclusion. 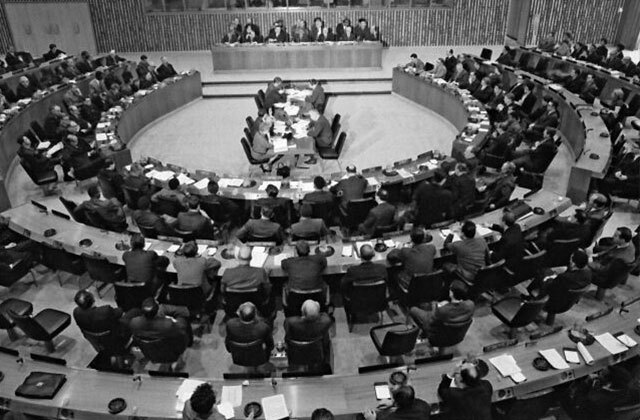 Early in 1966, United Nations leaders fighting poverty came together to form UNDP. Since that time, we’ve played a transformational role in reducing poverty, empowering women, creating jobs, protecting the environment, and lots more in the nearly 170 countries where we work. On the occasion of our 50th anniversary, UNDP is looking toward the future of people and planet. That future is uncertain. On the one hand, climate change, political turbulence, economic inequality, and other challenges. On the other hand, technological advances, tremendous economic growth, and an unprecedented global consensus about the best way forward. 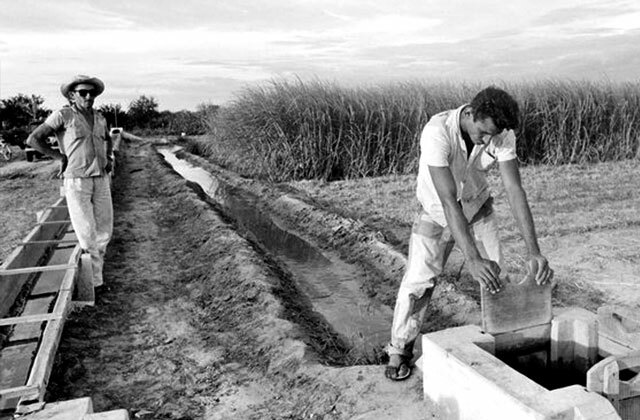 At UNDP, we are committed to finish the job we started 50 years ago, and end poverty once and for all. We imagine a world where all people prosper, societies are more inclusive, and the planet is protected from the worst effects of climate change. We want to leave no one behind. This is the agenda of the Sustainable Development Goals, also known as Agenda 2030, and it’s what guides our work for the next 15 years. Agenda 2030 is the most ambitious effort on development in world history. UNDP is prepared to lead the way to achieve this global agenda. We will connect the dots and integrate diverse efforts internationally, such as on health, energy, work and climate—so that we’re advancing development on all fronts. We’ll constantly look for multiplier effects that yield big benefits—such as our work on women’s and girls’ education, which advances life in other areas, such as health and governance. And we’ll identify points where we can accelerate our progress towards the Sustainable Development Goals. 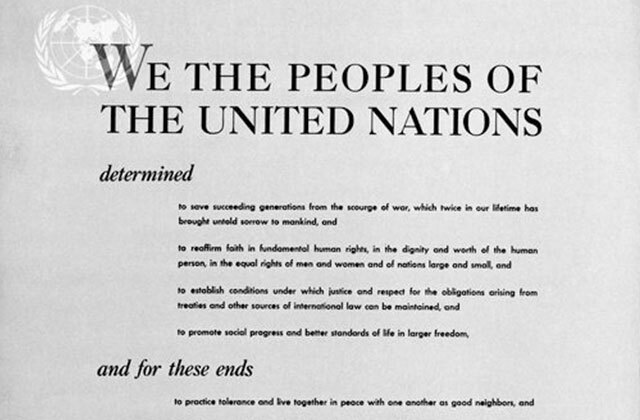 The final result: a more prosperous, fair, and inclusive world for all. This is a job not just for the poor countries or the rich counties. Not only for the people or their leaders. It’s a shared vision of the future of humanity. And you have a part. UN Charter calls for "higher standards of living, full employment and conditions of economic and social progress and development." Six UN agencies come together under the new Expanded Programme of Technical Assistance (EPTA) to support development. The programme was explained in an educational filmstrip (pictured). EPTA director David Owen says, "Co-operation for economic development is a practical working proposition." 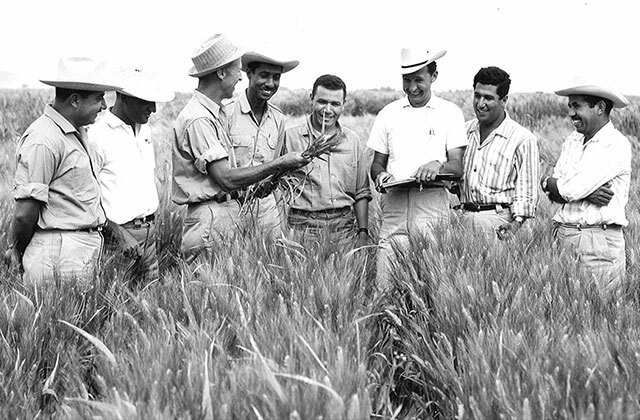 The UN Special Fund begins operations, to support development projects worldwide, such as a land and water resources survey in Brazil (pictured). Both the EPTA and the Special Fund focus on sharing development knowledge through fellowships and technical assistance. 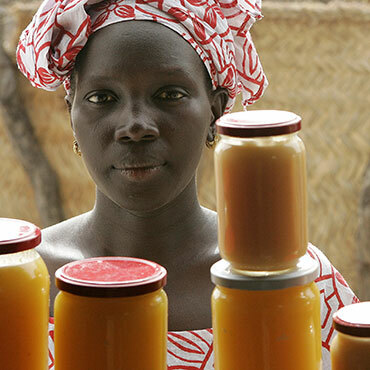 UNDP is born in 1966, as a merger of the Expanded Programme and the UN Special Fund. UN Secretary General U Thant says the new organization puts the United Nations on the "front-line of a global war on want." UNDP's work is organized into four geographic regions. 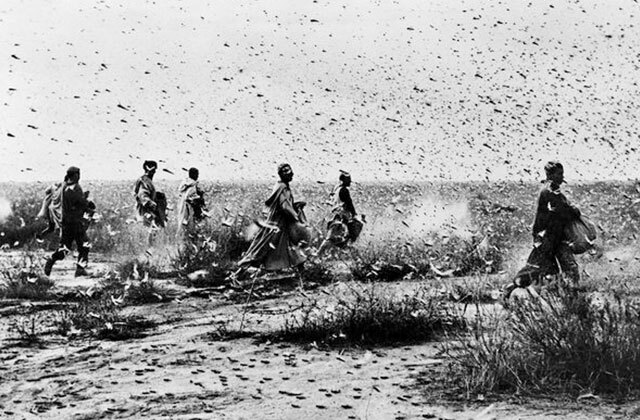 UNDP partners with the UN Food and Agriculture Organization and 42 countries to conquer desert locusts, which ravage crops and threaten famine. The battle is won by 1970, and the campaign is a model for future projects that span regions and continents. UNDP partners with the newly independent Republic of Singapore, offering funding and technical expertise in such areas as education, industrialization, job creation, and urban planning. The support was critical for a city-state with one of the highest rates of population growth in the world. The partnership between UNDP and Singapore continues today, and the country is now home for a jointly-directed centre on public service excellence. With world population growing at a faster rate, and a post-war “baby boom” in industrialized countries, the United Nations Fund for Population Activities becomes operational under UNDP. Having gained experience in regional projects, UNDP launches its first-ever worldwide project, "Global One", to develop a high-protein maize at an agricultural research centre in Mexico. Over time, the programme develops dozens of successful new varieties, and trains hundreds of people from dozens of countries in maize improvement. UNDP launches TOKTEN, a programme that sends expatriate development experts back to their country or region of origin to support projects there. The rationale? People who know the culture and language of a place are more effective. The programme starts with one Turkish man returning home to help an engineering project there, and within 10 years it is operating in 25 countries. 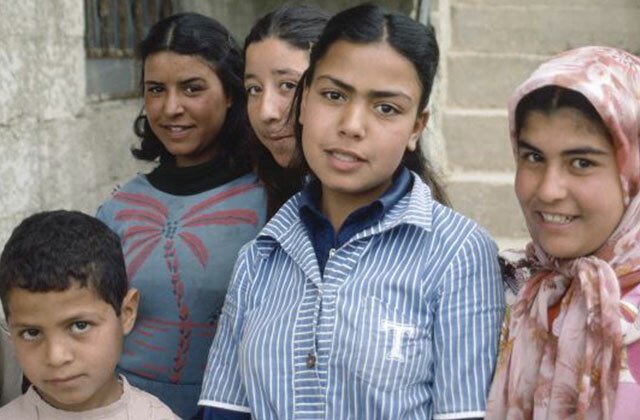 In the wake of the Camp David Accords, UNDP launches a Programme of Assistance to the Palestinian People (PAPP), building schools and cultural institutions, expanding hospitals, setting up fish markets and chicken farms, and more. UNDP supports the ongoing fight against river blindness, a parasitic disease caused by the female blackfly; aerial spraying clears more than 1.3 million square kilometers of the blackfly infestation. 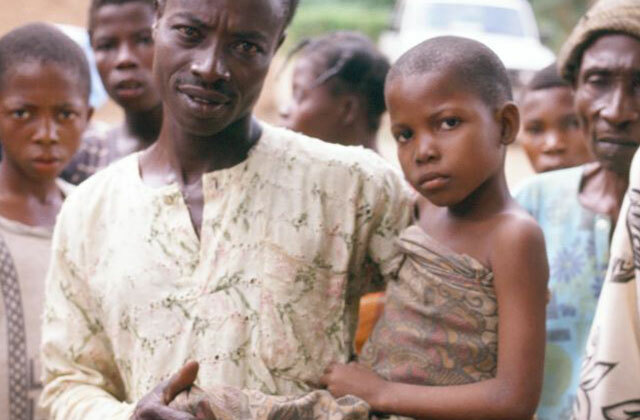 At the same time, UNDP co-sponsors an effort to eradicate the guinea worm (such as in Nigeria, pictured), another parasite that disables over 10 million people per year, mostly in Africa. With Mozambique suffering from drought and internal armed conflict, UNDP teams up with government and other partners to identify groundwater sources and drill wells. 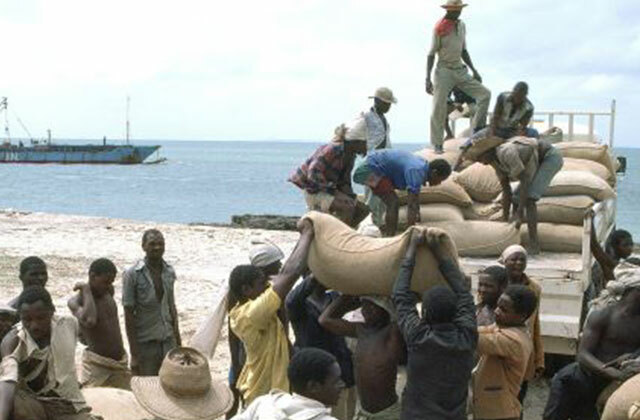 The partners also train fishermen, merchant marines and others to distribute food to the hinterlands. 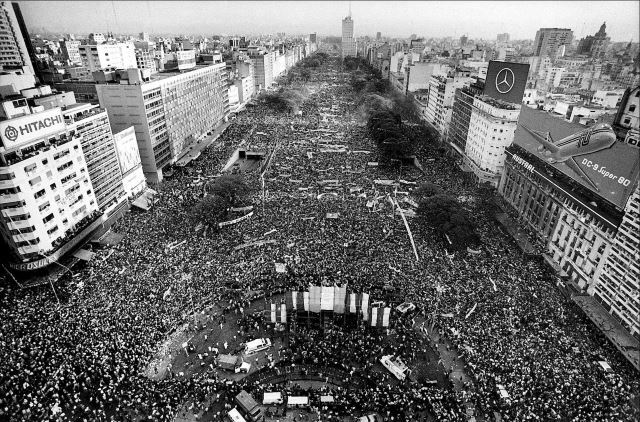 In the early 1980s, UNDP supported Argentina’s return to democracy, helping the country attract experts from worldwide on governance and anti-corruption measures. Similar innovations have since aided other democratic transitions in South America and beyond. In addition to other work on governance, UNDP now supports an election somewhere in the world every two weeks. UNDP moves gender to the centre of its work, by launching the Women in Development Division, and by starting a productive partnership with UNIFEM, making grants to women’s rights projects around the world. This and other work helped pave the way for a Millennium Development Goal focusing specifically on gender equality. An early grantee was Dr. Wangari Maathai (pictured), founder of the Green Belt Movement and the 2004 Nobel Peace Prize laureate. 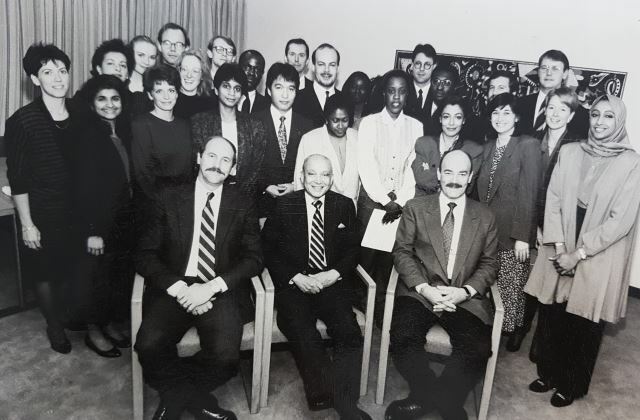 Former UNDP Administrator William Draper (1986-1993) reflects on his tenure, and cites his two proudest accomplishments as his role in launching the Human Development Report, and in ensuring that UNDP “aggressively recognized half of humanity”—women. In 1988, UNDP and United Nations Conference on Trade and Development launch EMPRETEC, a training programme for entrepreneurs worldwide. Since its launch, EMPRETEC has reached tens of thousands of entrepreneurs in dozens of countries, such as this chocolate factory in Jordan. UNDP publishes the first annual Human Development Report, which takes an unprecedented big-picture look at development. The new report combines three indices—life expectancy at birth, adult literacy rates, and purchasing power—to create a single Human Development Index. In 1991, UNDP partners with the World Bank in the administration of the newly created Global Environmental Facility (GEF), a $2 billion fund that helps developing countries protect the global environment. GEF grants support projects on biodiversity, land degradation (such as this tree nursery in Guatemala, pictured), sustainable forest management, protecting the ozone layer, and more. Former UNDP Administrator Gus Speth (1993-1999) calls UN staff the “last great collection of idealists on the planet.” In this video, he recalls how, in addition to serving as Administrator of UNDP, he was called upon to coordinate the development activities of the entire United Nations system; his innovations helped turn UNDP into a more effective and cost-efficient organization. 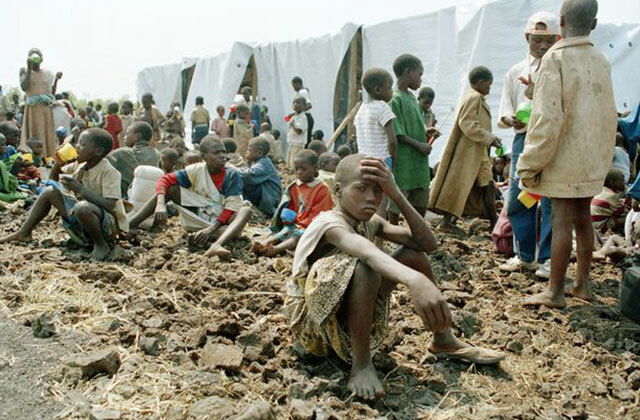 In the aftermath of genocide, UNDP sets up refugee camps in neighbouring Tanzania, and later mounts a peace-building programme that includes helping train new teachers, economic and social planners, police, judges and members of parliament. UNDP also helps Rwandans draft a new constitution and hold local and national elections. Some UNDP staff are among the hundreds of thousands of people killed in Rwanda. UNDP expands its work fighting HIV by taking a leadership role in the formation of the Joint United Nations Programme on HIV/AIDS (UNAIDS). UNDP makes the case that HIV is a development priority, and supports the creation of an African network on HIV and human rights. In later years, a partnership between UNDP and the Global Fund helps save 2.2 million lives by supporting the implementation of HIV, tuberculosis and malaria programmes in low- and middle-income countries. In the Bulgarian capital of Sofia, UNDP and local partners hire long-term unemployed people, including many from the Roma minority, to restore culturally important buildings. The programme, called "Beautiful Bulgaria", expands to more than 180 other towns in Bulgaria, restoring historic city centers and creating tens of thousands of jobs. 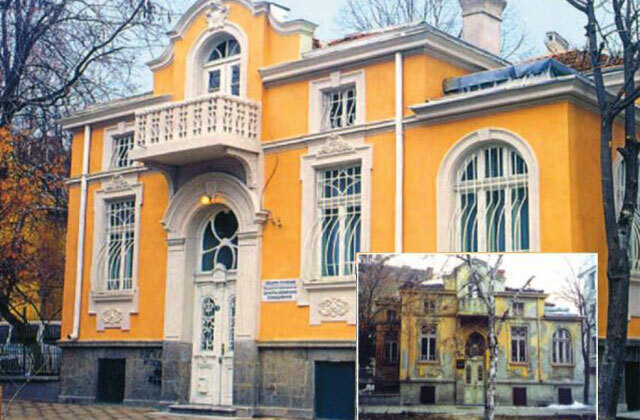 The municipal building in Plovdiv (pictured) was one of those restored. 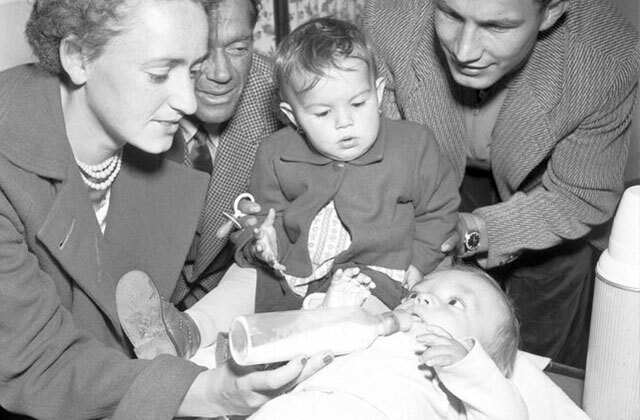 The programme was then replicated in other countries, such as Serbia, Romania and Armenia. Former UNDP Administrator Mark Malloch-Brown (1999-2005) says that during his time in “the best job in the world,” the organization focused more on its strengths—good governance, poverty reduction, and environment and sustainability. In the video above, he also talks about the significance of the Millennium Development Goals, and offers a vision of the future of UNDP and development. In an unprecedented show of global unity, the United Nations approves a set of eight Millennium Development Goals to achieve by 2015. At the top of the list: eradicating extreme poverty and hunger. 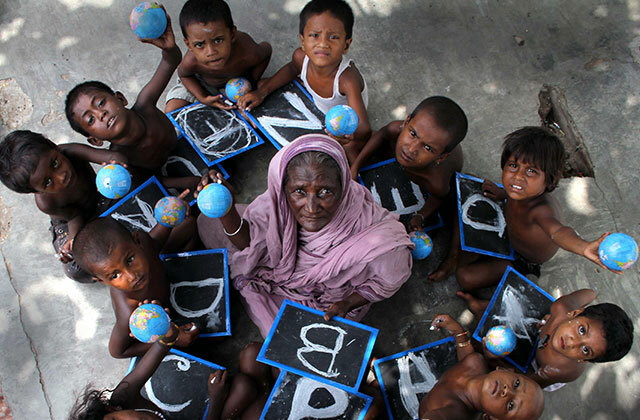 As the UN's lead agency on development, UNDP plays a vital role in the UN's work on the Goals. 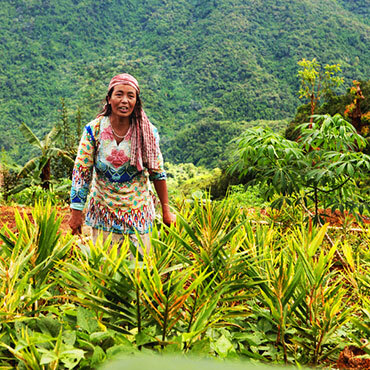 UNDP founds the Equator Initiative, a programme that recognizes local sustainable development solutions for people, nature, and resilient communities. 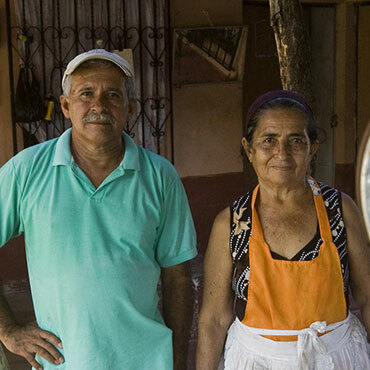 The Initiative awards the biannual Equator Prize for innovative work in this area. One of the inaugural winners is Bolsa Amazônia, in Brazil, an initiative dedicated to sustainable enterprises in rural forest communities of Amazonia; one of its projects makes paper out of natural resources other than timber forests, such as leaves and flowers. Paper production is a leading cause of global deforestation. 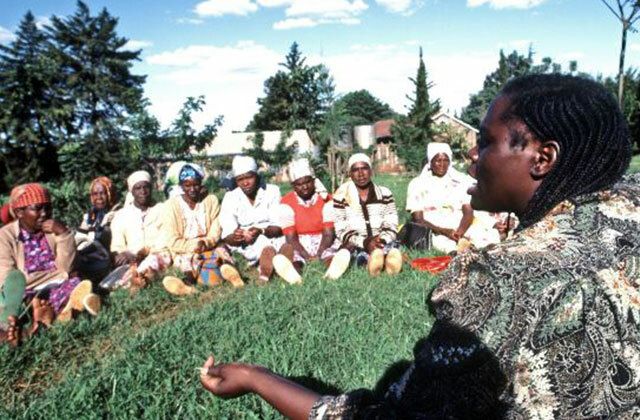 The UN's "Delivering as One" initiative was launched in 2007 to determine how the United Nations' work could be more coherent, effective and efficient. 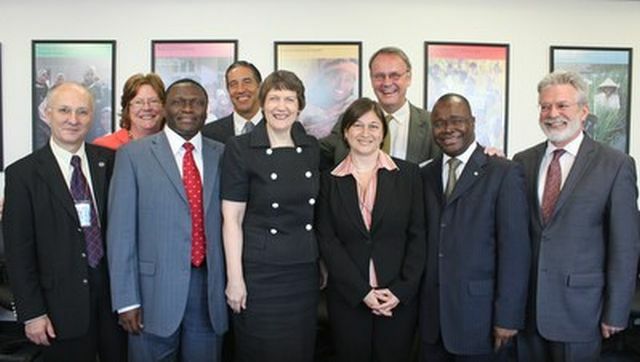 A pilot cohort of 8 countries (pictured, UN Resident Coordinators of those countries meet with UNDP Administrator Helen Clark) explore ways for the UN to work more cohesively, reduce costs for governments, and accelerate progress to achieve internationally agreed-upon development goals. Now more than 50 countries have voluntarily adopted the "Delivering as One" approach, and UN member states recognized it in a 2012 resolution. UNDP, as custodian of the UN Resident Coordinator system and Chair of the UN Development Group, has played a vital role in the initiative. UNDP Administrator Helen Clark (2009-present) talks about the great distance the world, and UNDP, has come since its founding in 1966. She talks about what makes UNDP a “go-to partner” in development after a half-century, including its emphasis on partnerships, building national leadership, and its ability to adapt to countries’ needs. 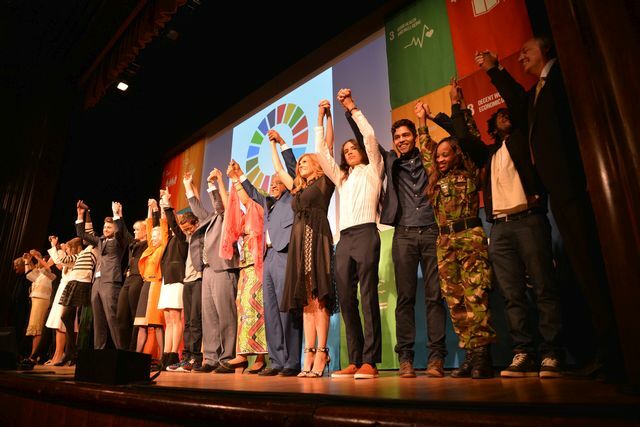 UNDP partners with the UN Foundation, the 92nd Street Y, and Mashable to organize the first annual Social Good Summit (SGS). Taking place in New York City and in UNDP Country Office locations, the Summit engages citizens worldwide on the same pressing concerns that occupy world leaders at the UN General Assembly. By 2015 (pictured), the Summit includes events in 109 countries and territories. Over 7 million people—just over half of them women—express their vision for the future through the UNDP-hosted "MY World" global survey, the largest crowd-sourcing exercise in United Nations history. The survey results inform the new global agenda on development—the Sustainable Development Goals. Recognizing the potential to get people worldwide involved in its work, UNDP launches Digital Good, a web platform that enables users to learn about and support sustainable development. 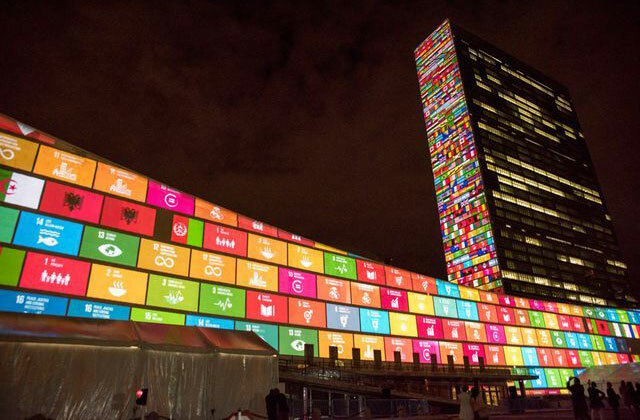 At the UN, leaders from 189 countries and territories approve the new Sustainable Development Goals, or SDGs. These Goals build on the successes in the earlier set of Millennium Development Goals, and go even further. The SDGs recognize the need to balance economic growth, social growth, and environmental protection in promoting sustainable development.